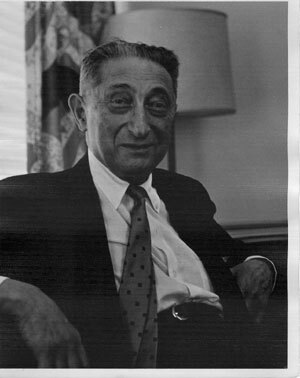 Edmund Jacobson, Ph.D., M.D., LL.D. (1888-1983) is best known as the originator of relaxation techniques. "Progressive Relaxation," the title of one of his major books, is widely recognized as a synonym for sophisticated relaxation training. Less familiar, however, is the scope of his investigations into the interaction of body and mind, and the theoretical and clinical foundation he constructed. His long, productive life extended from the era of the smoked-drum kymograph to the age of the computer; his contributions, taken in their totality, create the basis for a comprehensive discipline which might properly be called "neuromuscular psychophysiology". Around 1965, as a young psychiatrist curious about alternative concepts of human mental activity, I contacted him and he graciously offered me to visit him in New York City, where since 1932 he had commuted once a month from his home in Chicago to spend a few days working with patients and conducting business in a suite of rooms at the Hotel Commodore. At the end of the day, he invited me to return the following month, which I did for the ensuing three years. Jacobson dates his interest in nervous excitability to the age of ten. A serious hotel fire broke out in his home in Chicago, of which his lasting impression was of the frightened behavior of people afterwards. Rather than being concerned with his own feelings, he recalled having been curious about the way others showed their fear. He made up his mind that when he was old enough to go to college, he would study everything that was known of nervous excitability and its treatment. When he graduated Northwestern University in 1908, he fulfilled his resolution by entering Harvard graduate school, where William James presided as the first official Professor of Psychology in the United States. In addition to his participation in the authorship of the James-Lange theory of the peripheral origins of the emotional experience, James had also written on relaxation, and according to Jacobson, claimed to have received instruction in relaxation from a Swedenborgian nurse. Jacobson, however, was disappointed, and forthrightly described James as an "exceedingly nervous individual, with his beard going in and out of his mouth." He was frustrated at being unable to find any information on the topic of nervous behavior. He was finally able to locate a report of investigations into the startle reaction by a French psychologist, which gave him not only a beginning for his own research but also an enduring respect for the French scientific community. In a discussion of the nature of truth during a class in symbolic logic, the professor, Josiah Royce, asserted his opinion that the problem was unanswerable, Jacobson, demonstrating a characteristic that would remain prominent throughout his life, picked up the challenge. As a result, 'The Relational Account of Truth," his term thesis, became his first publication. This question continued to occupy his imagination throughout his life, to reappear in the last chapter of his final book, The Human Mind. He received his Ph. D. in 1910. After writing his dissertation on inhibition and receiving his degree, he accepted a fellowship at Cornell University, after which he returned to the University of Chicago to join Dr. A. J. Carlson in the Department of Physiology. He taught Physiology for one quarter, then went on to Rush Medical School. After he graduated medical school he returned to the physiology department where he remained doing his researches until 1937, when he resigned and established his own laboratory in downtown Chicago (The Laboratory of Clinical Physiology). He remained there until his death. Prior to entering Cornell, he had become extensively knowledgeable in the European technique of introspection known as the "method of examination" or the "Wurzburg method" a widely used tool in European psychology. He expected to find others similarly skilled at Cornell, but was once again disappointed to find a general "lack of training to observe what takes place internally during perception, understanding and thinking". He did locate three young faculty members to join him in his experiments. This collaboration resulted in the publication of Jacobson's first major article: "On Meaning and Understanding". This is a difficult article for the modern reader because of its lengthy and detailed description of introspective reports, and it is likely to be overlooked in the event a copy should be found. However, on close inspection, it is most revealing and provides a helpful foundation for the full understanding of his later contributions. The purpose of the project was to investigate the processes of "perception of single letters, the understanding of words, and of sentences." Jacobson and his three collaborators acted as subjects. The subject was to open his eyes upon a card printed with a letter, a word, or a brief sentence, absorb as much of the experience as he could detail accurately, then close his eyes and give his report. These observers had much to say of internal events transpiring in that very brief interval, including sensations of color, auditory images of the sound of the letter, eye movements, and contraction and relaxation of the muscles of speech In one instance, an observer whose attention was diverted by a moving pendulum, reported kinesthetic images in the neck, as if following the swinging bob. Many of the reports were long and full of detail, providing a respectable account of the skills mastered by these early introspectionists. He concluded that "for the most part, visual sensations aroused by the stimulus are not sufficient, of themselves, to constitute a perception of the particular letter; some additional process or processes must supervene." Although at the time he was not ready to formulate it, the statements of the observations of activity in eye, speech and neck regions in connection with a simple reading task foreshadowed his position that the motor system plays a central role in mental activity. A key element revealed in this early paper is the place of technical introspection in Jacobson's system. Most workers of today are unaware of introspection, or consider it a quaint relic of a bygone era. 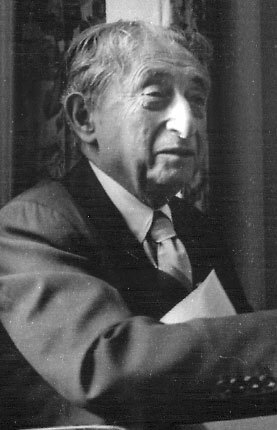 Jacobson modified the techniques of introspection for his own purposes. As measurement devices for the physical sciences became increasingly sophisticated, psychology emulated physics by embracing objectivity, leading to the institutionalization of behaviorism and rejection of the subjectivity of introspection as unreliable. To Jacobson however, introspection offered access to the richness of the unmeasurable internal experience, and as his work unfolded, he unhesitatingly used introspective technique as the foundation for his method of relaxation. It is introspection, not relaxation, which through modifications and expansion, eventually became progressive relaxation. Introspection also proves one of the larger liabilities of the technique, providing, when behaviorism became the standard of the scientific method in psychology, a target for Jacobson's critics. In 1910, Jacobson had no alternative to introspection for the detection of small muscular activities. The smoked-drum kymograph, the standard device for physiologic measurement, was obviously of no use. The French physiologist Charles Fere had been experimenting with changes in skin resistance by observing the responses of a string galvanometer to a small, constant current passed through the skin via surface electrodes. He reported that fluctuations in the string occurred in connection with changes in the emotional state of the subject. In these experiments he was applying the forerunners of the ohmmeter, the psychogalvanic skin response, and the infamous lie detector. Some individuals believed that similar deflections could be seen without using an external current, raising the hope that primary electrophysiologic potentials were being revealed. Jacobson tried the string galvanometer to that end in 1912, but found it insufficiently sensitive. The "three electrode" or vacuum tube, invented by de Forest in 1907, had been by 1921 sufficiently developed to act as an amplifier for the string galvanometer, but even this combination was still insufficiently sensitive. Jacobson spoke whimsically of the research community's sometimes patronizing responses to his quest for the measurement of electrical voltages of one microvolt or less. He quoted one colleague as declaiming "One microvolt! I take off my hat to one microvolt!" Ultimately, in 1930, two members of Bell Telephone Laboratories became interested in his work and provided support in developing a vacuum tube amplifier sufficiently sensitive and stable to be capable of driving the string galvanometer to respond to the tiny currents of resting, but not quite relaxed, muscles. Photographic records were made by casting a shadow of the moving string on a passing strip of bromide paper. The description of the first application of this new device arouses the sympathy of all who have suffered with research machinery: a concern arose of electrical potential being generated by the electrodes. After much experimentation, nonpolarizable "reproducing" electrodes were developed by a silver-silver chloride process. (In 1968, when I visited Jacobson's laboratory, I learned that dimes had, at times, been successfully used. Unfortunately, this supply of inexpensive silver discs was soon gone.) Interference was discovered from motors of laboratory devices, elevators, the stirring machine, and the thermostat relay. Alternating current devices were replaced with direct ones, and lamps were unplugged. Shields were used for the instruments and the subject, including galvanized iron plates under the couch. Internal stability of the instrument was enhanced by soldering the screw connections, then resoldering them, and attaching ground wires to the instruments. Electrode applications were covered with collodion to prevent evaporation of contact solution. The experimenter tried to move as little as possible. After all this, if the subject was not well relaxed prior to set-up, a surge of current would break the galvanometer string before any measurements could be made. Finally, this initial venture culminated by electrodes being fixed over the subject's right biceps, and on the instruction to imagine bending his arm, the string deflected unmistakably! During the next several years, both electronics and Jacobson's team of Bell Laboratories engineers made gradual progress. A publication in 1939 announced the development of the device designated as the "neurovoltmeter." In 1940, this was followed by the next generation instrument, the "integrating neurovoltmeter". The original instrument, with its modifications and updates, continued to be usable at least into relative modernity. (E. Jacobson, Jr., personal communication, 1989). "Tension is part and parcel of what we call the mind. Tension does not exist by itself, but is reflexively integrated into the total organism. The patterns in our muscles vary from moment to moment, constituting in part the modus operandi of our thinking and engage muscles variously all over our body, just as do our grossly visible movements. If a patient imagines he is rowing a boat, we see rhythmic patterns from the arms, shoulders, back and legs as he engages in this act of imagination. The movements…are miniscule". Jacobson began his work by a study of the nature of the mind through adapting nineteenth century introspective techniques, Piece by piece he added training in relaxation, adaptation to medical treatment of stress-induced disorders, the building of a basic teaching method, and the presentation of the foundations for a theory of the thought process. He continued his studies and clinical work throughout his life. He added computerization to the integrating neurovoltmeter, searching for the temporal sequence of mental and muscular events. Alongside of the manifold inquiries in physiology and psychosomatic treatment, the questions of the ultimate nature of the mind and of truth which first engaged him at Harvard under William James were the subject of his last book, The Human Mind, released in 1983, the year he died. The result is a concept of a functional interaction of the mental and motor systems. Thought and behavior, impulse and action represent two components of an integral entity. Neither efferent nor afferent motor neuronal flows are simple linear circuits. They intertwine with the nervous and neurohumeral systems at many levels, influencing and responding to cognitive, affective and autonomic events. In its medical application as a psychosomatic theory, Jacobsonian relaxation offers insight into the classic problem of "the means of transducing psychological or social experiences into pathogenic physiology." Representational and preparatory motor responses are an integral part of mental activity, and in turn initiate arousal physiology. When they are activated chronically by rumination and reflection, potentially pathogenic changes occur in physiologic zero references (the set-point principle). The sum total of all of these interactive factors influences the symptom picture. Tension disorder has many manifestations. Muscles fatigued from being held in tension develop spasms, not of the entire gross anatomical structure, but of segments, producing the familiar painful "knots," technically known as "trigger points." The process is the same anywhere in the body. It is simple differences in style of ordinary human behaviors that determine which muscles will hurt, hence the symptom picture. Frowners and neck craners get headaches, shoulder hunchers have trapezius syndrome, spine archers develop low back pain, jaw clenchers become "TMJ" patients, and those who do it all are of late being diagnosed with the fibromyositis syndrome. A trigger point in the medial third of the left trapezius gives a virtuoso performance of mimicking myocardial infarction, complete with nausea, sweating and even fainting. When the medical workup rules out the reasonably probable organic causes of the difficulty, and particularly when indications of behavioral tension are found, tension disorder is the most likely diagnosis. It is intuitively more difficult to consider visceral conditions such as migraine headaches, esophageal spasm, irritable bowel, and specific cases of arterial hypertension and cardiac arrhythmias as arising from muscular tension. It helps to remember that tension is a form of behavior that reflects a state of mind that provides an impulse to action that is never consummated. It is not then difficult to conceive of the possible development of dysautonomia. The fact that in Jacobsonian technique these conditions may be approached through the voluntary motor system makes treatment eminently more accessible. may not have clinically significant physical symptoms, but rather a variety of emotional complaints, including sleep difficulty, irritability and bad temper, a sense of futility and lack of joy, constant fatigue, or simply of being unable to relax. These are not trivial complaints, especially in young patients, who are getting warning signals of the weight of a burden they may expect to endure for many years. The therapeutic application of Jacobsonian relaxation, to provide the patient with the means to "stop doing it," is so deceptively simple as to strain belief and tempt disregard. This simplicity, however, is achieved only through competent professional training and diligent practice, in the same way that a skilled musician or athlete achieves his direct ease of performance. It requires from the patient an ability and willingness to accept responsibility for the work to be done, while postponing demands for immediate results. While not all patients bring these assets to the treatment situation, those who do may not only achieve relief from symptoms, but also have the opportunity to develop a set of attitudes and behaviors which promote future health and quality of life. 1. Lying in a quiet place, bend the hand back at the wrist and study the sensation arising from the act (the sensation in the forearm). This first item of instruction is not relaxation but observation, the all-important ability to monitor tension, the basic element of action and behavior. 2. Discontinue that activity, and observe the changes in sensation. Practice relaxing, under the direction of awareness. This maneuver is repeated twice more, allowing several minutes between each contraction. The remainder of the recommended hour of practice is spent lying quietly, essentially doing nothing. This doing of nothing is also a highly technical matter, including maintaining a light concentration, a slight focus of awareness on the proprioceptive senses, mainly on the muscle being studied in that session. In successive periods, a similar approach is taken to the various muscle groups. Jacobson organized his training by geographic anatomy: limbs, the trunk, the neck, and the head. It was based on the gross movements of each major part. Every third practice session is to be a "zero period" dedicated to relaxation only, with no contraction being performed. After completing the body survey lying down, the whole process is repeated sitting up. As with all good "methods," this one is a skeleton, providing the professional teacher with a textual aid for putting the necessary flesh on the appropriate bones. Muscles essentially are functionally the same; yet slight variations in movements or postures of different parts of the body carry great differences in meanings. These are far in excess of the physical changes involved. Jacobson expressed this in terms of a telephone message: the electric current is miniscule, however, the message could conceivably alter the fate of the world. A nodal point in the process involves the speech and eye regions, representing language and visualization. Jacobson observed verbal and visual thought to be accompanied by measurable muscle activity in the relevant locations, suggesting that these "mental" acts are miniatures of overtly physical looking and talking. The same relationship between mental representation and subliminal physical acting out was investigated in broader kinds of imagery, such as in lifting a weight. Jacobson began his work by adapting 19th Century introspective techniques to study the nature of the mind, adding piece by piece the training in relaxation, adaptation to medical treatment of stress-induced disorders, the building of a basic teaching method, and the presentation of the foundations of a theory of the thought process. The result was a concept of a functional interaction of the mental and motor systems. Thought and behavior, impulse and action are merely two components of the same whole. As a psychosomatic theory, it provides an approach to the unsolved problem of "the means of transducing psychological or social experiences into pathogenic physiology". The motor system directly influences autonomic activation with its privileged access to the blood supply. When chronically activated, these motor system patterns can induce selective set-point distortions in autonomic regulation. The symptom picture will depend largely on the nature of these distortions, which in turn will depend largely on the nature of the behavior. The essential picture was in place by the early 1930's. As the years passed, he expanded and extended this work in many directions. Notable were natural childbirth and the introduction of relaxation in the school system, dentistry, and the military. He studied the relaxation of athletes, and many of his trainees were athletic coaches. He continued to carry on his studies and clinical work throughout his life. He added computerization to the integrating neurovoltmeter, searching for the temporal sequence of mental and muscular events. Alongside the manifold inquiries in physiology and psychosomatic treatment, the questions of the ultimate nature of the mind and of truth, which first engaged him at Harvard under William James, were the subject of his last book. The Human Mind , released in 1983, the year he died. The legacy he left the clinician lies in rebuilding in each therapeutic encounter the sequence that took place in history, beginning with the teaching of muscle-sense awareness. This introspection-driven "analysis of efforts" provides a powerful tool to reveal heretofore-unconscious representations and interpretations, as well as the protracted efforts on their behalf; and cognitive and behavioral analysis from a single process. The removal of aberrant neural flows to and from the motor system reduces drives to the autonomic system and other central structures, and by presenting a valid rather than an elevated baseline of activation, allows readaptation towards functional normalcy to take place. This is not a quick fix based on hooking a client up to a "biofeedback machine" and handing him tapes that play soothing noises or tell him that he is getting relaxed. It demands from the outset that both the therapist and the patient be able and willing to relate to a complex system. A good many patients presenting psychosomatic complaints are unwilling or unable to collaborate effectively, and another significant group are socially dependent on their symptoms through a variety of agendas, consulting only to obtain certification of incurability. On the "provider" side, many are eagerly grasping the opportunity for quick and unregulated access to a billable procedure within the "health care industry". The potential benefits of this system must be evaluated by studying the results of properly conducted procedures in a properly selected patient group. There is much valuable work to be done subjecting Jacobson's observations to the kind of scrutiny that the scientific and medical communities will be willing to accept as evidence of their validity and effectiveness.